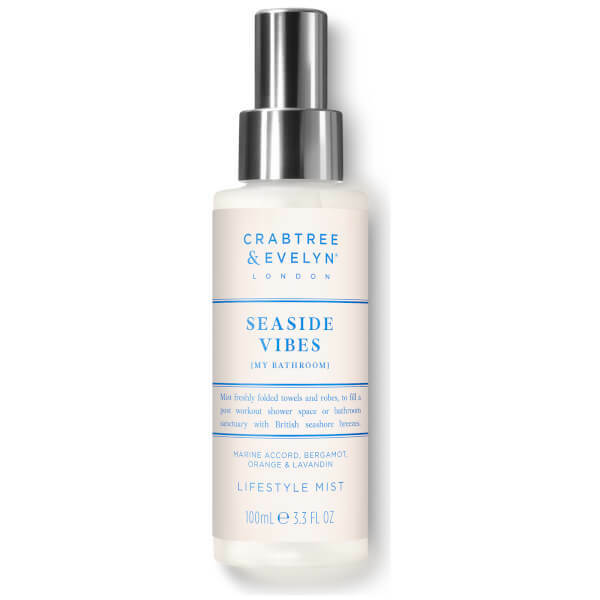 Experience the fresh, oceanic fragrance of Crabtree & Evelyn's Seaside Vibes Lifestyle Mist. Revitalising yet tranquil, the perfumed spritz combines Marine accords with zesty notes of Bergamot, Orange and Lavandin to create a fresh, seaside-inspired scent. Perfect for pillows, linens and towels, or simply sprayed around the room for an aromatic lift, the relaxing home fragrance will leave you feeling happy and content. Ideal for enhancing your post-gym lifted mood.